The D.C. Council unanimously approved legislation Tuesday to crack down on food truck operators that monopolize parking spaces. News4's Scott MacFarlane has the story. The D.C. Council unanimously approved legislation on Tuesday designed to break the logjam of food trucks squatting on some of the District’s most prized parking meter spaces. The News4 I-Team spotted food trucks monopolizing parking spaces and got the attention of city legislators. The food truck operators have taken control of sections of E Street SW and 12th Street SW, both lucrative sections of the District for food truck sales, by collaborating to keep permanent hold of the parking meter spaces. The parking operation was first revealed in a News4 I-Team investigation in February. It has created conflict with neighboring businesses, other food truck operators and raised questions about the effectiveness of parking laws and enforcement in the District. D.C. Council Member Charles Allen thanked the I-Team for its work. "The local media was fantastic on this. I think NBC4 in particular helped highlight exactly what the problem was, helped us work toward solutions," he said. "So, I'm grateful for that, because it really helped shine a light where we needed it." The I-Team review found the food truck operators work collaboratively and share a set of older cars. After the lunch hours are complete, operators move their food trucks from the metered parking spaces but immediately move some of their fleet of shared junk cars into the spaces. Doing so blocks access to those spaces to others and allows the truck operators to squat on the spots around the clock and through the weekends. 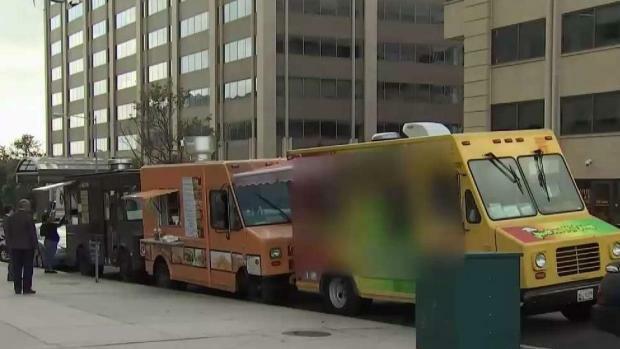 The parking spaces are not part of D.C.’s 10 approved food truck lottery zones but are located near large federal office complexes and thousands of potential customers, including the headquarters of NASA and the U.S. Small Business Administration. The food truck parking blockade along 12th Street SW operates outside the headquarters of U.S. Immigration and Customs Enforcement. An I-Team review of D.C. parking citations, obtained under the Freedom of Information Act, shows some of the placeholder junk cars used by the food truck operators have been ticketed dozens of times this year. Public works officers have issued at least 620 parking tickets near the E Street SW parking spaces since January, the I-Team found. 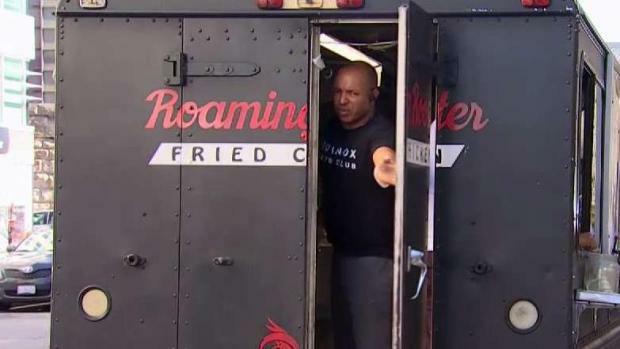 A group of food trucks have taken control of a set of highly desirable public metered parking spaces on a busy southwest Washington, D.C., street, causing conflict with neighboring businesses and raising questions about the effectiveness of D.C. parking laws. News4's Scott MacFarlane reports. D.C. Department of Public Works officials said the tickets range in cost between $30 and $50 but do not increase if there are multiple violations. D.C. Council member Charles Allen said the cost of the parking tickets has been an acceptable “cost of doing business” for the food truck operations. Citing the findings of the I-Team, members of the D.C. Council drafted new legislation to adjust D.C. parking laws to make it prohibitively expensive to incur multiple parking tickets at those Southwest D.C. parking meter spaces. The bill empowers the mayor to designate those streets as “Repeat Parking Violation Pilot Zones.” The cost of the tickets would increase for second and third parking infractions involving the same car in those zones. “It's a fraudulent, preplanned and sophisticated execution arrangement that is their business model,” said D.C. Council member Mary Cheh, who chairs the Council Transportation and Environment Committee. “To stop this fraudulent enterprise from continuing, we have to be more aggressive." Food truck operators in the Southwest zones declined to comment to News4 when asked about the legislation. During the I-Team’s February investigation, at least two truck operators acknowledged they were executing a plan to squat on the parking meter spaces. They said it was motivated by a shortage of other spaces made available by the District in its 10 designated food truck zones. Food truck operator Ben Rohani, who is among those squatting on the public spaces along E Street SW, said the lottery only provides him an official zone space elsewhere in D.C. once each week. “It’s very difficult. We can’t be OK if we don’t have a spot. We can’t tell our employees, ‘OK, you don’t work today,’” Rohani said. D.C. records show the number of food trucks has soared from approximately 115 trucks in 2013 to 450 in 2018. D.C.’s food truck zone lottery program, which divides 100 designated food truck parking spaces each month, is too small to afford zone spaces to all of the current operators. 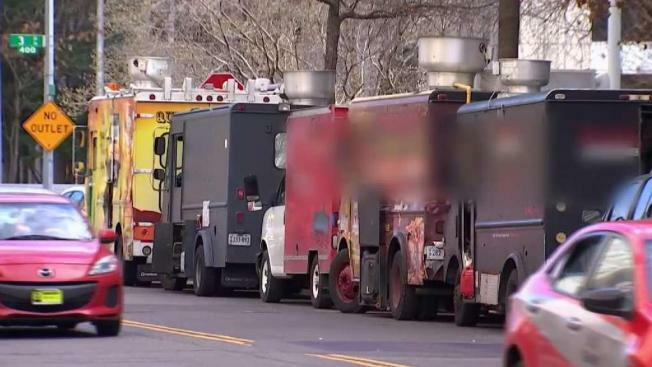 D.C. Department of Public Works director Chris Shorter said, under D.C. law, it is not illegal for food truck operators to park trucks next to public parking meters, but Shorter said his agency has received a large number of complaints and inquiries about the food truck parking blockade in the months after the I-Team investigation in February. D.C. Council gave preliminary approval to its new legislation at a hearing Dec. 4. It was approved on a second vote Tuesday, Dec. 18. If approved by Mayor Muriel Bowser, the bill will become law next year.